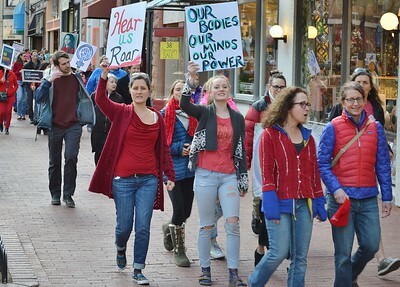 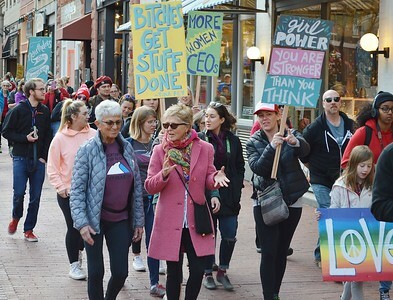 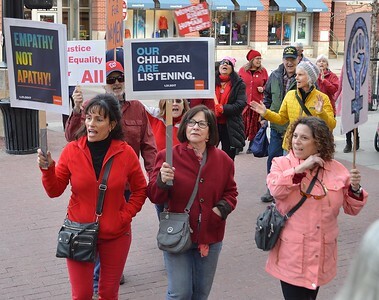 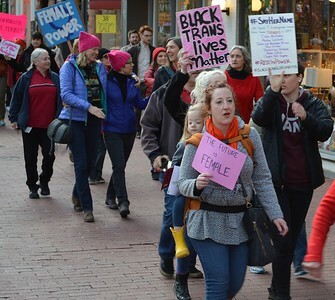 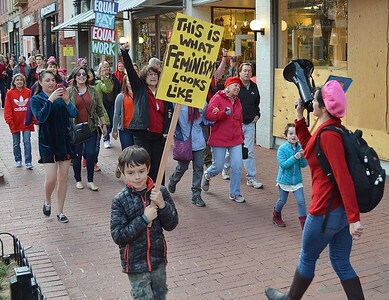 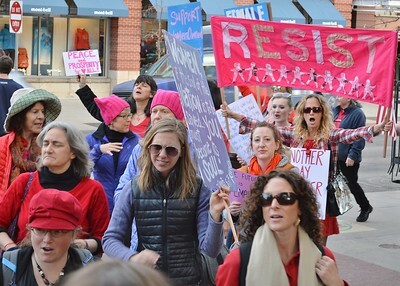 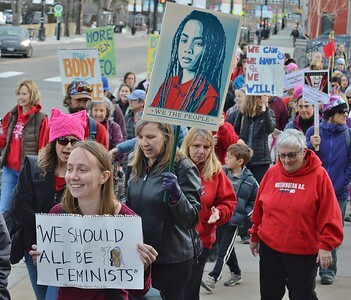 International Women's Day was celebrated with a march through downtown in Boulder, Co. 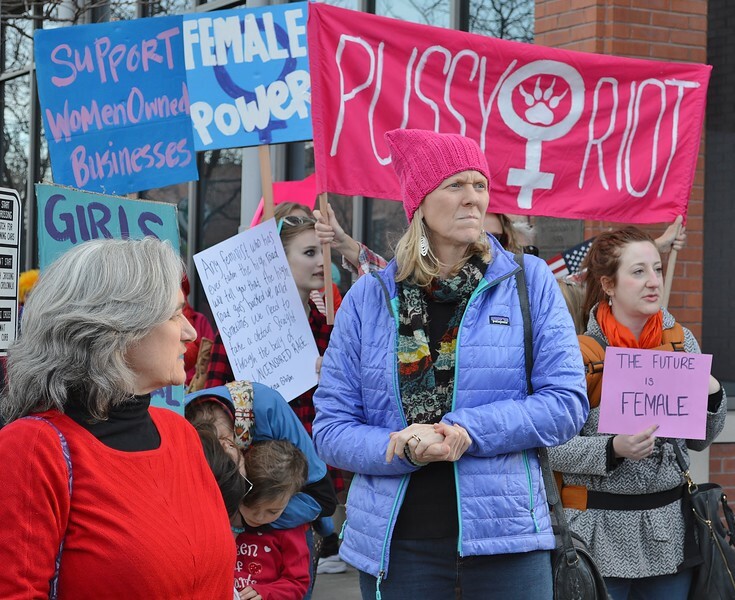 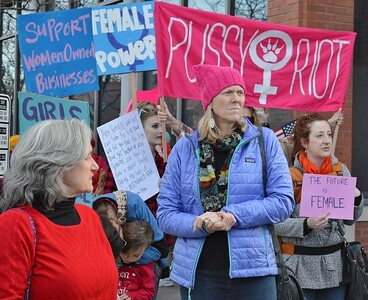 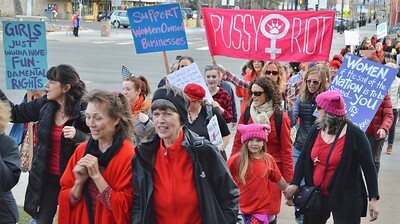 These women carried an International Women's Day banner at the head of a march in Boulder, Co. 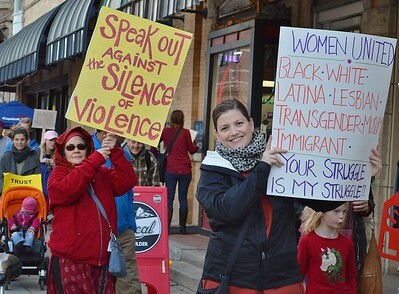 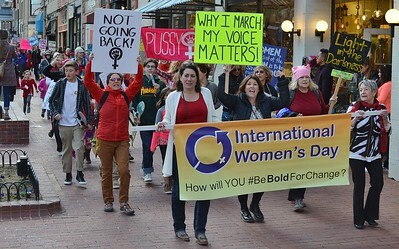 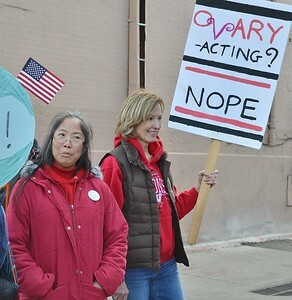 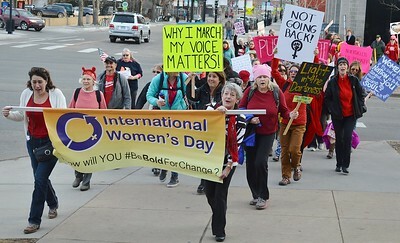 These women carried an International Women's Day banner at the head pof a march in Boulder, Co.
International Women's Day marchers in downtown Boulder, Co. 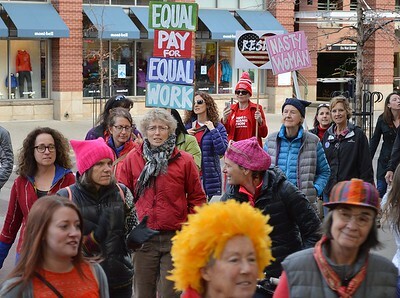 These women were among those who marched through downtown Boulder, Co on International Women's Day. 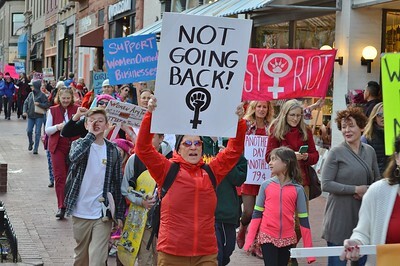 This woman and young daughter were among the marchers on International Women's Day in Boulder, Co.